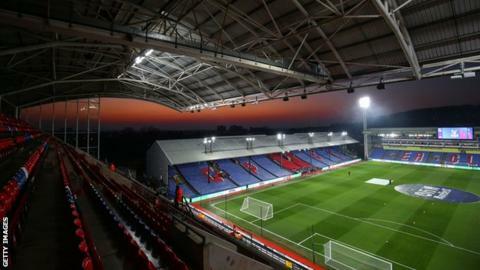 Crystal Palace are working with the police to identify an individual after a video emerged appearing to show a supporter making a gesture mocking the Munich air disaster. The video was taken at Selhurst Park during Palace's 3-1 defeat by Manchester United on Wednesday. "We take a zero-tolerance approach to this sort of behaviour," Palace said in a statement. "As and when the individual is identified, we will take the appropriate course of action."